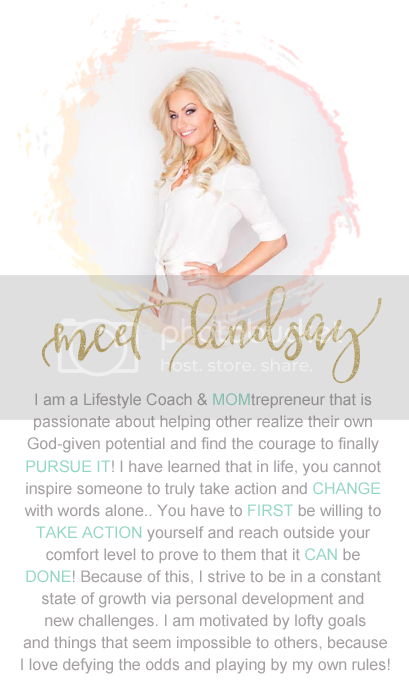 Lindsay Matway : The 21 Day SMART START TEST GROUP! The 21 Day SMART START TEST GROUP! Back in my BARTENDING days, the title to this post would be something like, "LAST CALL FOR ALCOHOL! ", but today, 3.5 years later, I am a 29 year old 'STAY at HOME' ENTREPRENEUR running a multimillion dollar company from the comfort of my back patio, snuggled up in my yoga pants and VS shirt, sipping on hot tea and listening the pool water run over the spa to a house I paid CASH for just 6 months ago! I say this not to brag, but to give you a glimpse of what is possible with a little fitness & health company called Beachbody that completely changed the trajectory of my life a few years back... WHEN it lands in the hands of the RIGHT person! You may be wondering, well, what do you mean by the RIGHT PERSON?! In my close to 4 years as a coach, I have definitely come to realize THIS BUSINESS, the opportunity to BE YOUR OWN BOSS, is NOT for everyone! - Those who lack self-discipline. - Those who want to take the PATH of LEAST resistance. - Those who need structure and everything spelled out ahead of time. - Those unwilling to step outside their comfort zone. - Those who are unwilling to change. So... WHO AM I LOOKING FOR?! Well, here's the thing, I am at a place in my business where financial gain is NOT my motivation anymore! I say "anymore" because, let me be honest with you, when I started, I was in SERIOUS DEBT, had lost my home to foreclosure, and had a new baby I needed to provide for... Money was at the TOP of my priority list back then... and for GOOD REASON! But these days, my MOTIVATION is to PAY THIS BLESSING FORWARD to others who maybe ARE where I once WAS! No, you don't HAVE to be in serious debt to be a contender, but I am looking for women that I connect with and whom I see MYSELF in! Simply put, because I KNOW I can lead them effectively and I also know I will ENJOY working with them! - Knows DEEP DOWN they were made for MORE than they are currently doing with their life. - Wants to provide for themselves and not have to rely on anyone else to support them, but also feels a calling to give back and help others! - Wants to live life BY DESIGN: Traveling, meeting new people, giving back! The idea of working WHEN they want, with WHOM they want, WHERE they want, and doing WHAT they WANT almost sounds too good to be true, but my gosh, if it was a possibility, they would be ALL over it! - COACHABLE and willing to spend a year making short-term sacrifices if it meant spending the rest of their life enjoying long-term SUCCESS! IF THAT SOUNDS LIKE YOU --- and you've been waiting for some type of "sign" from God to come and hit you in the face... THIS IS YOUR SIGN!!! KNOW SOMEONE who would be a GREAT fit?! TAG EM! That’s true. Being a business owner is not an easy task. It’s a matter of discipline and the determination that you will do everything to make your business grow and succeed. It may seem difficult. But having the right people to guide you through the process and teach you good techniques will definitely help lighten the load.